The Legend Shangri-La: Cluster Pays™ is the latest video slot released by Netent that has the same engine of Aloha Cluster Pays™ which made a great success amoungst players. This video slot has several game features including Free Spins, Sticky Re-Spin, Random Substitution and Nudge Reel. Players can win up to €200,000 while playing with maximum bet on a single spin and a theoretical payout percentage set to 96.59%. Click here to read the full slot review of The Legend Shangri-La: Cluster Pays™! is currently offering a fantastic complimentary bonus on registration for new players! 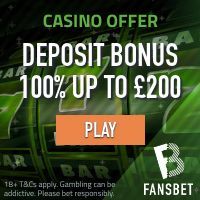 Get 10 no deposit casino spins that can be played on one of the following Netent slots, Starburst, Finn and the Swirly spin, Aloha Cluster Pays and of course The Legend of Shangri-La! Make a minimum deposit and get 100 complimentary casino spin credited to your account. The fun part is, that the no deposit offer and the deposit offer do not have any wagering requirements, so all winnings are credited in real cash! Click here to claim you 10 free spins on The Legend of Shangri-La! Get up to 50 Spins – No Wagering! Join PlayOjo Casino that prides itself as the fair online casino. Why so? Well bonuses offered at PlayOjo do not carry out any wagering requirement and therefore are credited in real cash! Are you tired of the endless game play required to fulfill the bonuses? 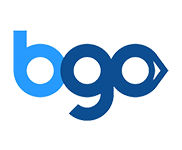 Then join PlayOjo and get your offers wager free. 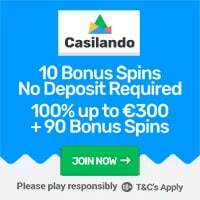 You will get 1 spin for each €1 or equivalent deposited. So, if you deposit £/$/€50 you will get 50 Book of Dead free spins added to your account. Any winnings from these free spins are paid out in real money – without any wagering requirement attached. The EXCLUSIVE part of this offer is that you will also be eligible for 30 more free spins which you can find in the “Kickers” section. The 30 EXCLUSIVE extra free spins are must be claimed within 3 days of your first deposit. Don’t forget: everything you win is paid in real money without ANY wagering requirements! Click here to join the fair casino – PlayOjo!